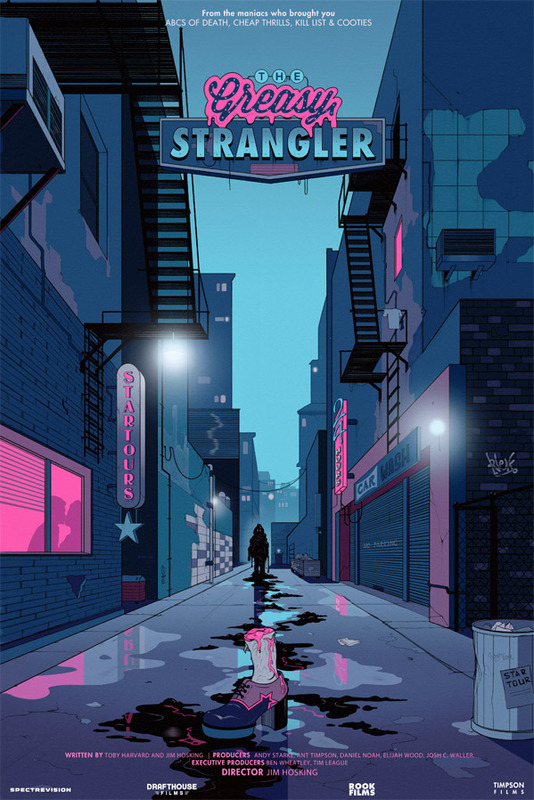 Rated ‘G’ for excessive greasiness, the first trailer for Jim Hosking’s (The ABC’s of Death 2) horror-thriller The Greasy Strangler has landed, and it’s definitely not safe for work – maybe not even safe for life. Starring Michael St. Michaels, Sky Elobar and Elizabeth De Razzo, the surreal and nutty flick enjoyed a premiere at the Sundance Film Festival earlier this year, garnering more “WTF” reviews than just about any other film on the festival slate. Whether that’s a good thing or a bad thing is something we’ll leave to you. Set against Los Angeles, it’s Michael St. Michaels that takes point as Big Ronnie, a man who knows a thing or two about the mythical Greasy Strangler – an “oily, slimy inhuman maniac” that stalks the shadows and quite literally beats the innocent to a pulp. Expect wonderful weirdness in spades when The Greasy Strangler launches across limited theaters and VOD on October 7.